The Rainforest Challenge is a grueling 4X 4 endurance test which has been described by the international media as “the mother of all trophy raid events, extraordinary adventurers in an extraordinary event set in an extraordinary season - the monsoon”. The challenge, which is in its fifth edition this year, is an annual event organized by the various channels of the Terengganu government. The 2013 edition of the Rainforest Challenge is in fact currently underway after having being flagged off at Pulau Warisan on Saturday, November 30, following the opening ceremony, which was then followed by a prologue to familiarize participants with the course and weather at Kg Gong Chempedak, in Marang Terengganu on Sunday, December 1st. The tourney, currently features the participation of five hundred competitors hailing from as many as thirty countries like Singapore, Australia, Spain, Britain, Holland, China, Russia and Colombia, in addition to hosts Malaysia. The arduous course of the challenge will lead the competitors through miles of the most rugged and unforgiving landscape in the eastern Malaysian state of Terengganu. The terrain is guaranteed to test not only the participant’s driving techniques and skills, but also their mental strength and endurance as man and machine will battle the undulating Terengganu territory, in the face of torturous elements, the unruly monsoon rains and winds, which are usually at their height during this season. 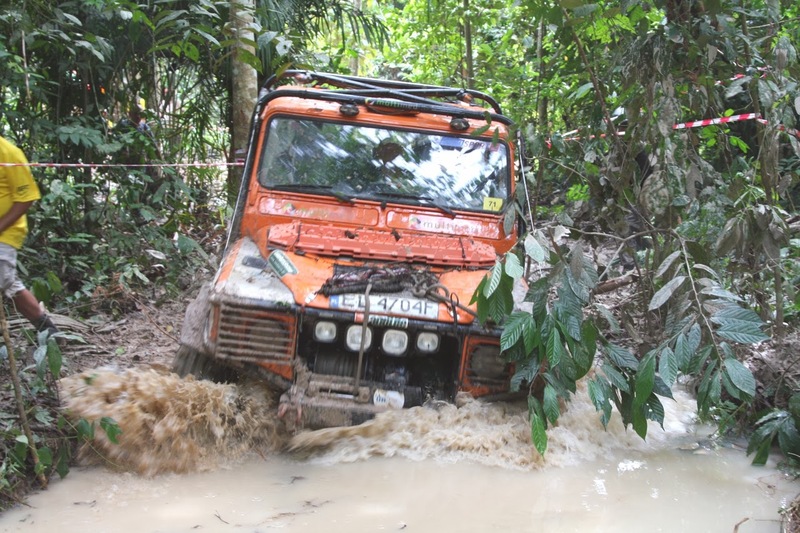 During the course of the challenge, the competitors will have to drive through torrential rainstorms, as they navigate slippery slopes, swollen rivers, muddy ruts and gullies and dodge dangerous landslides. It is said that during the course of challenge it often takes hours to traverse a kilometer and the difficulty of the trail is further enhanced by exacerbating conditions, like the sweltering humidity and the unwelcome presence of jungle inhabitants like leeches, sandflies and more. Often vehicles participating in the challenge get stuck in deep tropical mud for hours and the many sleepless nights during the course also begin to take their toll, but participants who have successfully completed the challenge in the past, aver that it provides a fantastic team-building experience as it helps to foster a great camaraderie amongst the participants, who are collectively at the mercy of the exacting conditions. Are you a fan of extreme sports? Are you an accomplished driver? Why not get together a team and participate in the journey of a lifetime? Next year’s Rainforest Challenge in Terengganu.